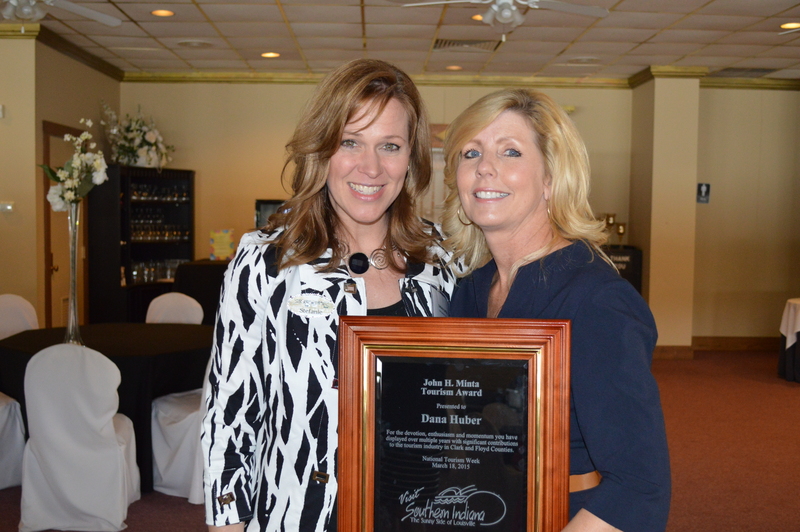 The tourism industry honored Dana Huber with the John H. Minta Award on Wednesday, March 18. 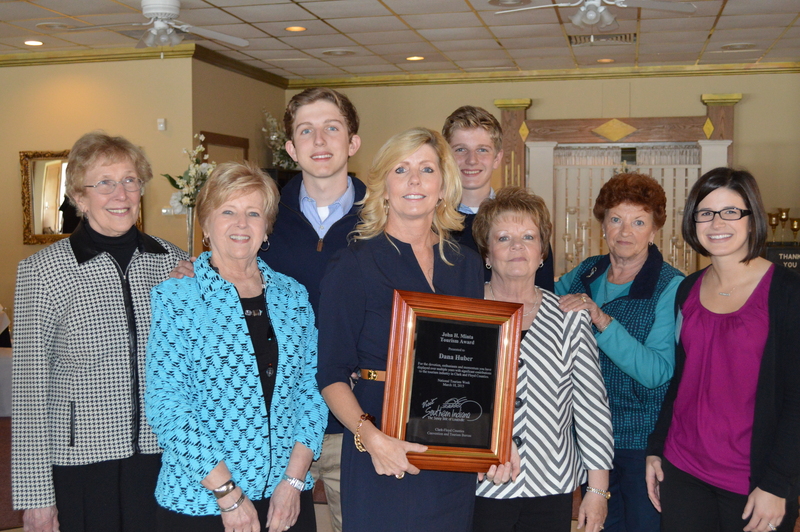 The award was presented to her during the Clark-Floyd Counties Convention & Tourism Bureau’s March 18th annual meeting. 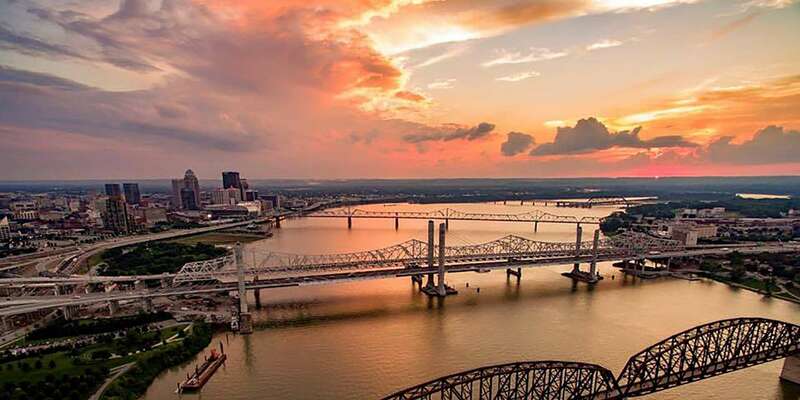 The award honors the legacy of John Minta, a long-time president of the Clarksville Town Council and past president of the bureau’s board of managers. Award recipients are chosen for outstanding contributions to the tourism industry and for exhibiting a drive to improve tourism in our communities. 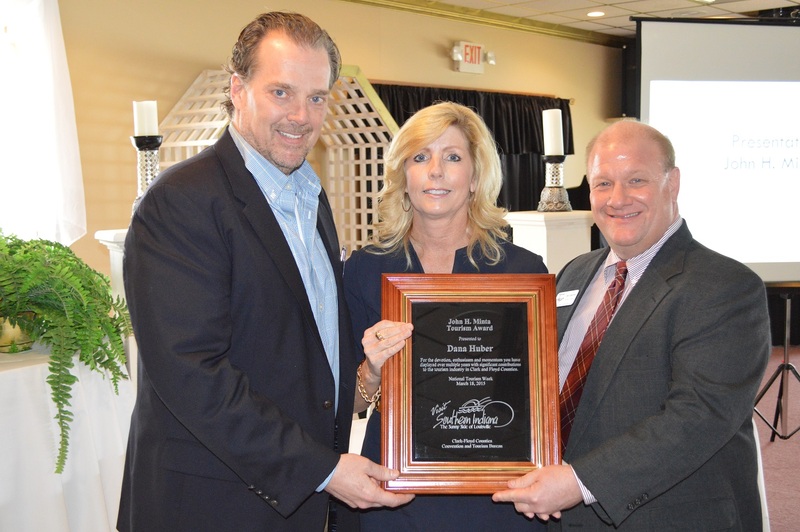 Huber accepted the award on behalf of the entire Huber family, acknowledging her mother-in-law Mary Jeanne Huber in her remarks. “Thank you, Mary Jeanne, our fifth generation family member, for passing along the seed that has allowed us to blossom into what we are today,” she said. A member of Southern Indiana’s popular Huber’s Orchard, Winery, and Vineyard for more than 10 years, Huber currently serves as its VP of Marketing & Distribution. She has been a visible presence in Clark and Floyd Counties, building alliances with local hotels and organizations in the hospitality industry. 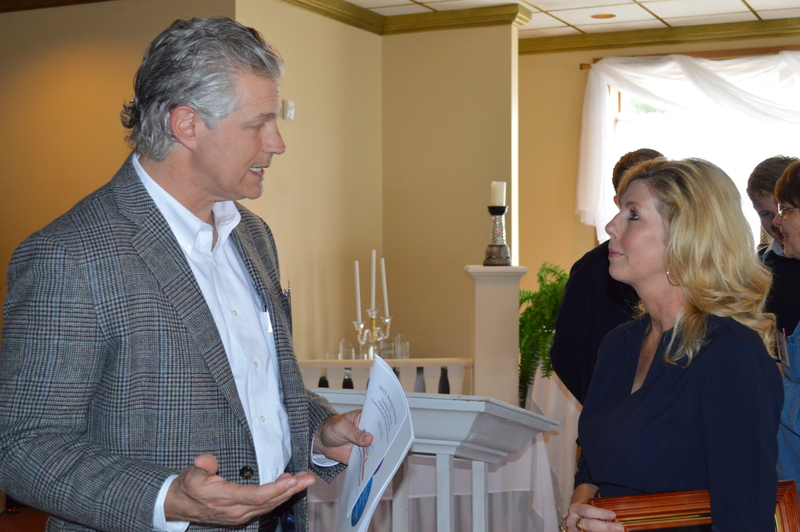 Stefanie Griffith, left, nominated Huber for the John H. Minta tourism award. Deeply involved in the business community, she helped create the Indiana Uplands Wine Trail, a collaborative effort of regional wineries located in Starlight, Bloomington, West Baden, and other southern Indiana communities. Currently, Huber is chair of the Board of Managers for One Southern Indiana, the combined Economic Development Council and Chamber of Commerce for Clark and Floyd Counties. She also serves on The Indiana State Fair Commission, Ivy Tech’s Regional Board of Trustees in Sellersburg, and The Indiana Youth Institute. Huber’s is one of Indiana’s premier agri-tourism destinations. The Huber’s property, in the rolling hills of Starlight, Indiana, was settled in 1843 by the family’s ancestors from Baden-Baden Germany. Seven generations later, the farm and winery have grown to more than 700 acres.